Calling all budding interior designers! 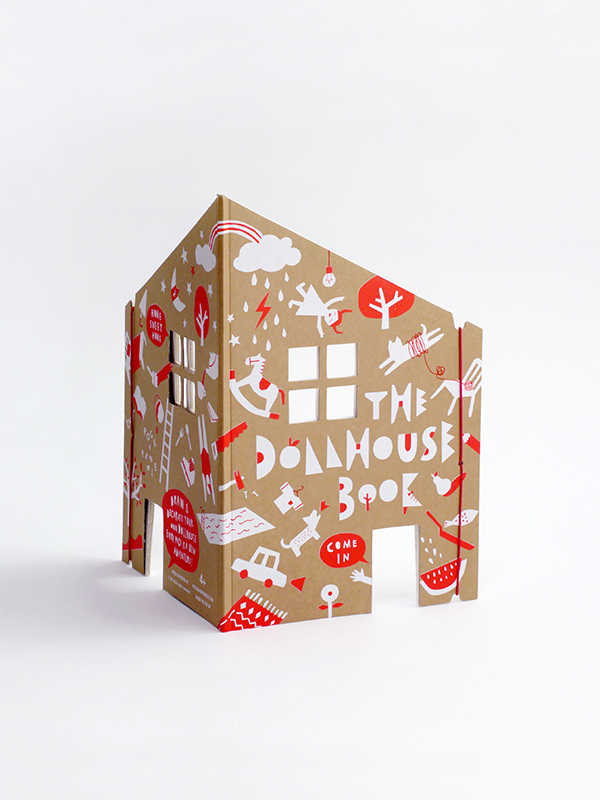 The Dollhouse Book is a drawing book with 30 blank pages that magically turns into your own dream dollhouse with 15 changeable rooms. 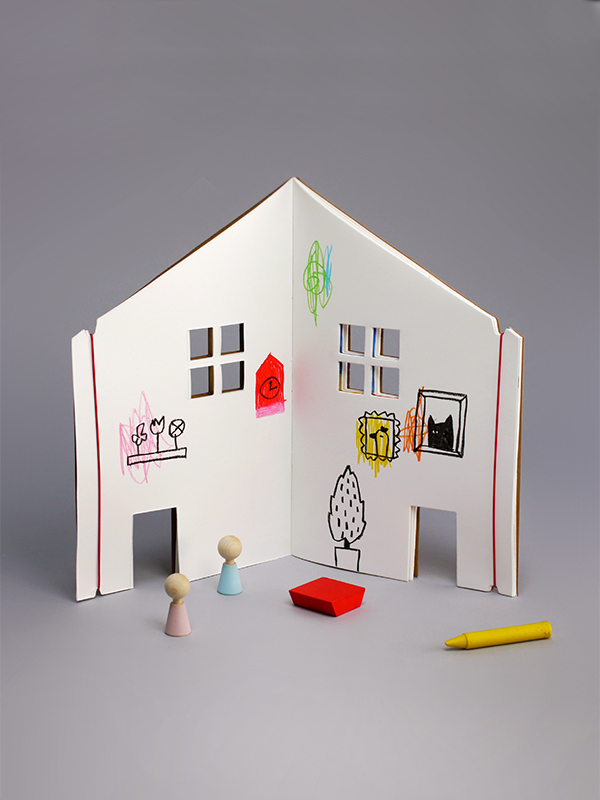 Draw, paint and decorate each room page and simply stand it up as a play house and let the storytelling begin! 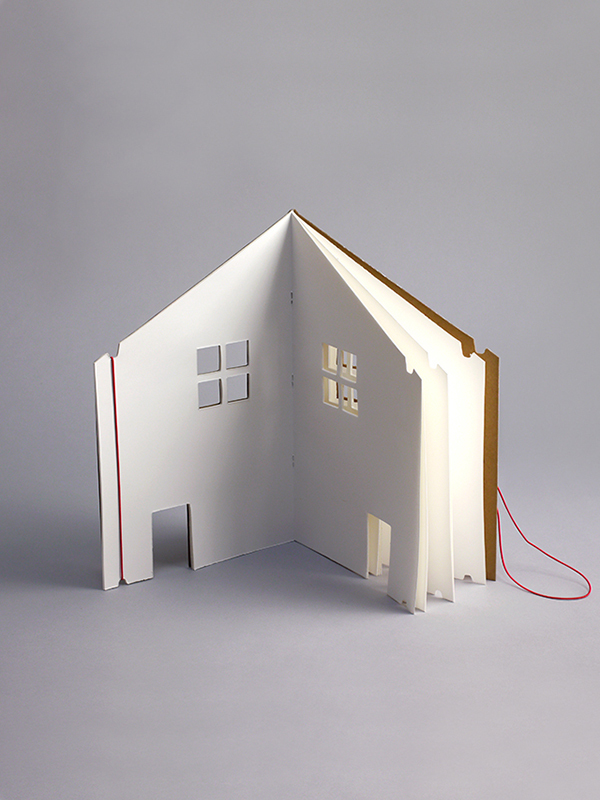 Each open spread can be held with elastic cords, attached to the covers, transforming into a dollhouse. What’s your fantasy room like? You can even connect 2 – 4 books to create a big house with multiple rooms. Friends and siblings can have so much fun drawing their own rooms, connecting them together and inviting everyone in to play in their special houses. Check out more fun decorating ideas in our gallery & please send us your artistic creations, we’d love to see them! The paper is from a swedish mill certified to the ISO14001 and EMAS environmental management standard. It is FSC Mixed Sources Certified and manufactured without any addition of Optical Brightening Agents (OBA’s). Pulp is bleached using both Elemental Chlorine Free (ECF) and Totally Chlorine Free (TCF) processes. It’s a great quality environmentally friendly paper. The cardboard cover is screen printed by hand with water based inks. All made with love!